One strategy which all good readers have in common, is the ability to use context clues effectively. When students encounter words they haven't seen before or words which they don't fully understand, context clues can help them problem solve to determine what a word might mean in that particular context. 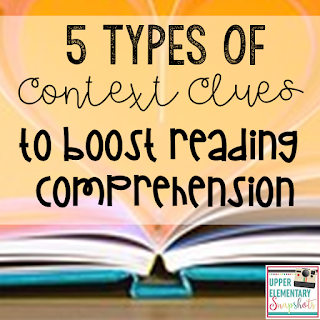 By directly teaching your students these five main context clues, they will have some of the tools they need to greatly increase their reading comprehension. Here's my anchor chart for Context Clues Types. I think anchor charts are great to help document learning and for kids to be able to reference concepts when needed. The five types of context clues I like to teach can be remembered by the mnemonic LEADS. These include Logic, Examples, Antonyms, Definition, and Synonyms. I also introduce Word Parts (base words, prefixes, and suffixes) later on in the year, after we have had plenty of practice with Latin and Greek Roots. To me, this is the very most important context clues strategy. Reading has to make sense, so when we come to a word we don't understand, we make inferences based on our prior knowledge and experiences (our schema) and based on the clues the author provides. Students are asked to make a good guess, using all of the clues available. One fun activity for this is to make up a sentence with a nonsense word included, and have the kids guess what it could possibly mean based on the context clues. The book called Baloney by Jon Scieszka is a fun one for this lesson. Often times, the unknown word will be accompanied with an example, either before or more likely after the unknown word. 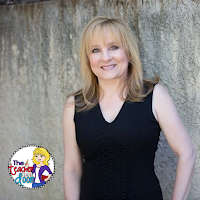 When students are taught to keep reading, and not to get bogged down by the unfamiliar word, they might be able to find a good example which will help their understanding. This is not to say that we ignore the unknown word if it is pivotal to the passages understanding. If it seems important (and determining importance can be a difficult skill for this age), we'll need to do a bit of work to figure it out. If it is not an extremely important word, most readers can still come to a clear understanding without it. One thing I like to explain to my students is that using context clues is something good readers do naturally, when reading for fun! For example, I really enjoy historical books set in Asia (not sure why, but I do). Sometimes, I'll find cultural words or words in Chinese, which are unfamiliar to me when reading these types of books. I use this as a good example for my students that problem solving context clues is a real life reading skill. By third to fifth grade, many students can tell you that an antonym is a word with an "opposite" meaning. Many at this age, however, do not understand that antonyms may be used to figure out mystery words! 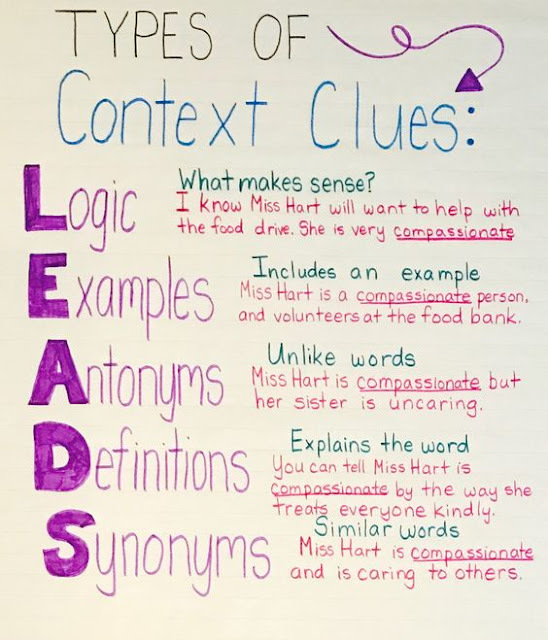 When students see phrases like unlike or as opposed to, different from or in contrast with... these phrases may clue them in, to find the unknown word's antonym which helps them piece together the word's meaning. Even though in real reading, we normally don't use a dictionary that often to figure out new words (although I have actually done this on occasion if it bothered me that much), students need to know that a word's definition may be found right in the text! One example of this is when an author uses an appositive (you know...says a word, comma, and then describes it, comma). After arguing for over an hour, the politicians decided to compromise, reach an agreement, about the city park. Authors sometimes include synonyms to make sure their meaning is clear. The synonyms might be included in a list form (...gregarious, sociable, and friendly), or they may be included with the word "or" beside them. When my brother found out that he was going to the state championships, he was ecstatic or thrilled. 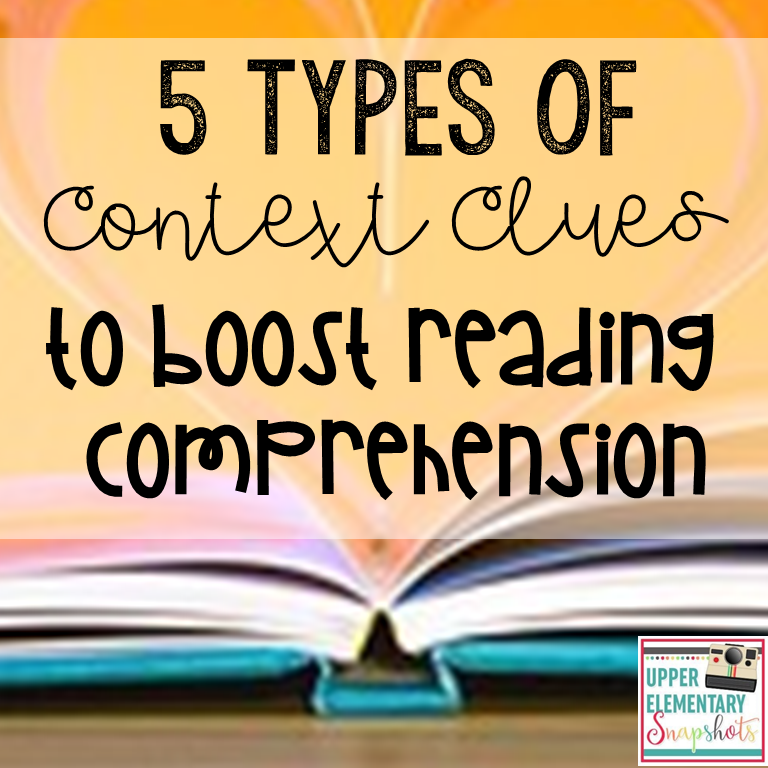 Once students know these five main types of context clues, they seem to find them everywhere they look. I love it when you teach a strategy and find that the kids have internalized it! One of the joys of teaching! Thanks so much for stopping by our blog! 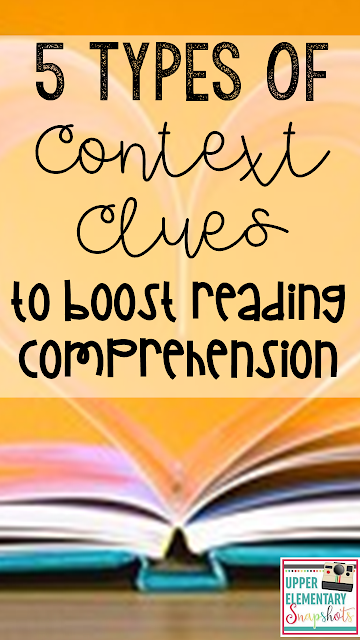 I would love to hear what you're doing in your classroom to teach context clues!